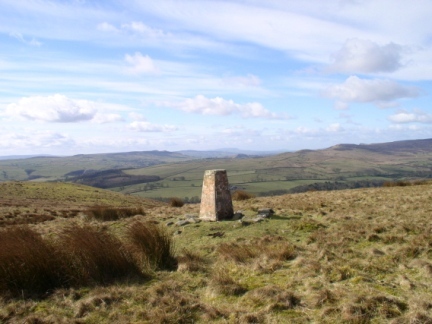 A nice easy circuit above Pickles Gill visiting Hazelwood Moor and the trig point above South Nab. Walk Detail: Despite having had a walk the previous day the forecast for this day was so good I just had to go out. 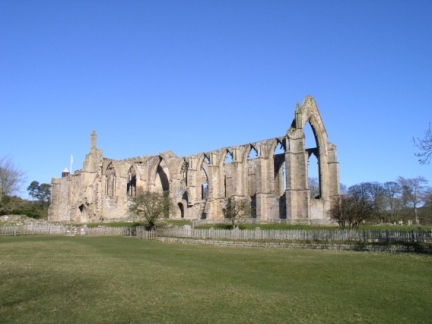 Lisa wanted a lie in so I went out again on my own but in my eagerness to be off early I had to wait half an hour for the Bolton Abbey car park to open. 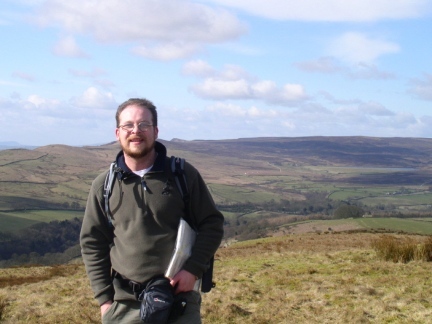 "When I reached Hammerthorn Gate I strayed off the well-maintained path for the first time in the whole walk and made a brief diversion to the trig set back above the outcrop known as South Nab." The path up to Storiths was the one I had come down when I’d first hurt my knee a month before. 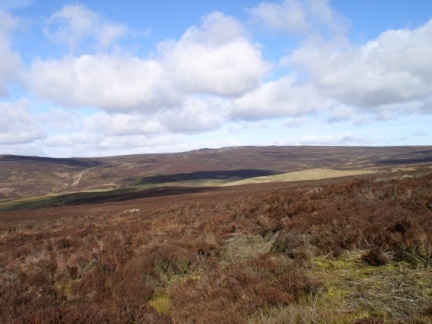 It was a steady climb and by the time I got on to the moor just beyond Storiths I was able to shed my waterproof jacket due to the lovely weather. Indeed the sunshine really accentuated the glorious colours of Hazelwood Moor. In fact the whole stretch down to Pickles Gill Beck was really quite delightful. A bit further on from the beck I reached the highest point of the walk itself where I stopped for a brief snack. 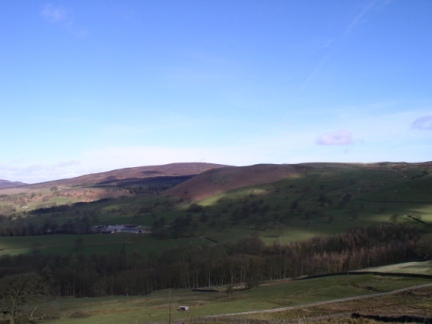 When I reached Hammerthorn Gate I strayed off the well-maintained path for the first time in the whole walk and made a brief diversion to the trig set back above the outcrop known as South Nab. Without disturbing too many of the grazing sheep I reached the trig which gave good views out to the west, especially to Embsay Moor and Thorpe Fell opposite. I did not linger too long and soon returned to the path before descending towards the Wharfe. Along the way I passed Bolton Park Farm from one of whose barns there was the most terrible noise being made by the resident cows, goodness knows what they were doing to it. 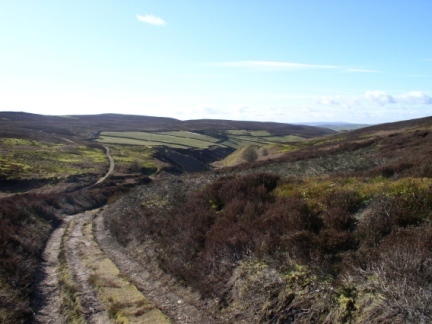 After the tranquillity of my moorland ramble it was a major shock on arriving at Cavendish to be amongst the hordes of people who descend on this area and it was quite a trying last mile sharing the path back with all manner of people and animals. 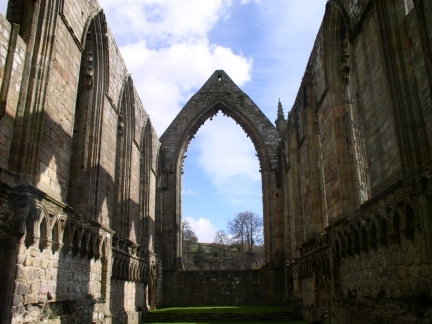 When I finally got back to Bolton Abbey I took a few more photos of the priory before heading back in time for lunch. Apart from the last section this was a really nice little bit of morning exercise.